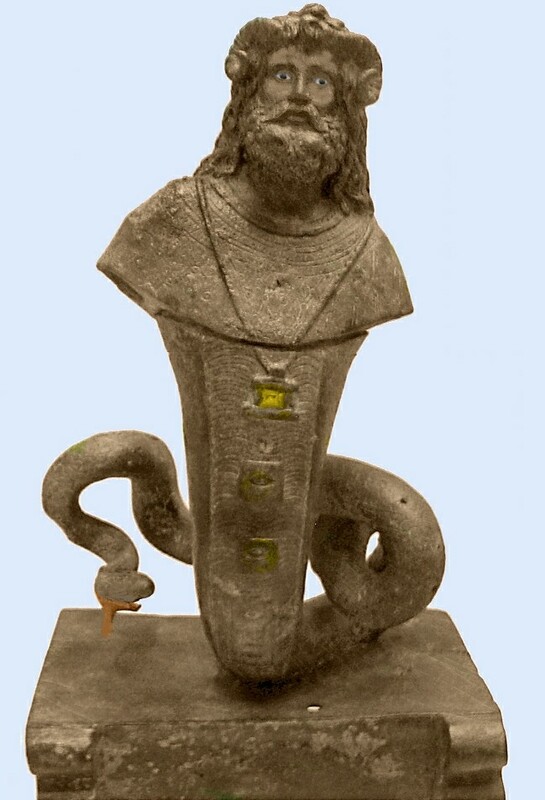 Pope Rat and Jesus Serapis. This is not the Biblical Father or the Biblical Jesus. Before I get into what I want to talk about I want to say this first, in regards to Jesus and this so called Jupiter connection. Jesus saw Rome worship Jupiter. He knew firsthand that they were worshipping Jupiter. This is a fact. So was Rome worshipping Jesus? No. 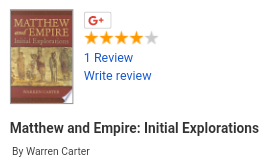 They worshipped Jupiter Serapis. 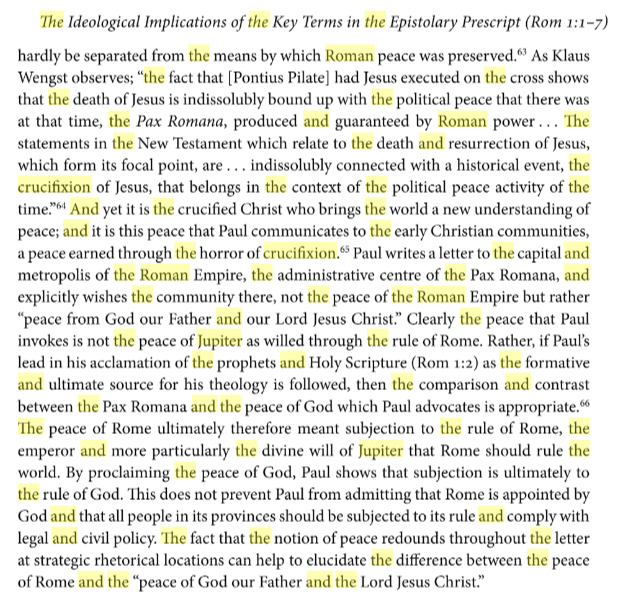 Why didn’t Rome recognize Jesus as representing Jupiter and just worship Jesus instead? Because Jesus was never literally Jupiter and the Church was never a representation of a baby Jupiter. To represent yourself as a group, like Jupiter, only means you are following Rome. Your god is Jupiter Serapis, the false Gnostic christ. You are not following Jesus. 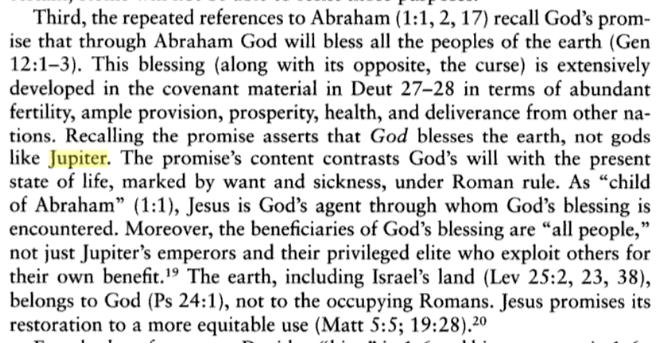 There is a reason as to why Constantine morphed Rome with Christianity. 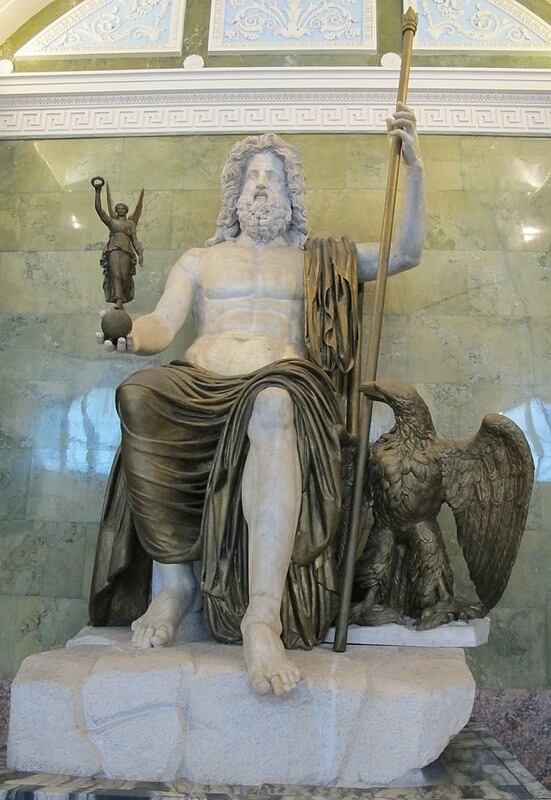 Christianity had a lot of followers and the easiest way to get these followers to yoke with Rome is to take their Jesus and turn Him into Jupiter Serapis. This is what we have today. And don’t forget, the first Roman emporer Augustus was born on September 23rd, a symbolic birthing of Jupiter Serapis. “In the Roman East, the birthday of Augustus on September 23 was the first day of the new year on some calendars, including possibly the calendar of Heliopolis (Baalbek in present-day Lebanon).” (https://en.m.wikipedia.org/wiki/September_(Roman_month)) You can also find a few other births in the Roman Empire in September, Aurelian on the 9th, Trajan on the 18th and Antoninus Pius on the 19th. Congratulations 923 cult, your more screwed up then you thought. Rome believed all authority was granted to them by Jupiter. So why didn’t Rome recognize Jesus as Jupiter if that was the case? Jesus made The claim that He was God and Rome didn’t say “oh yeah, your right! You are representation of Jupiter right!” They never said that. In fact they recognised Jesus as a “crazy man” and not like their god Jupiter. 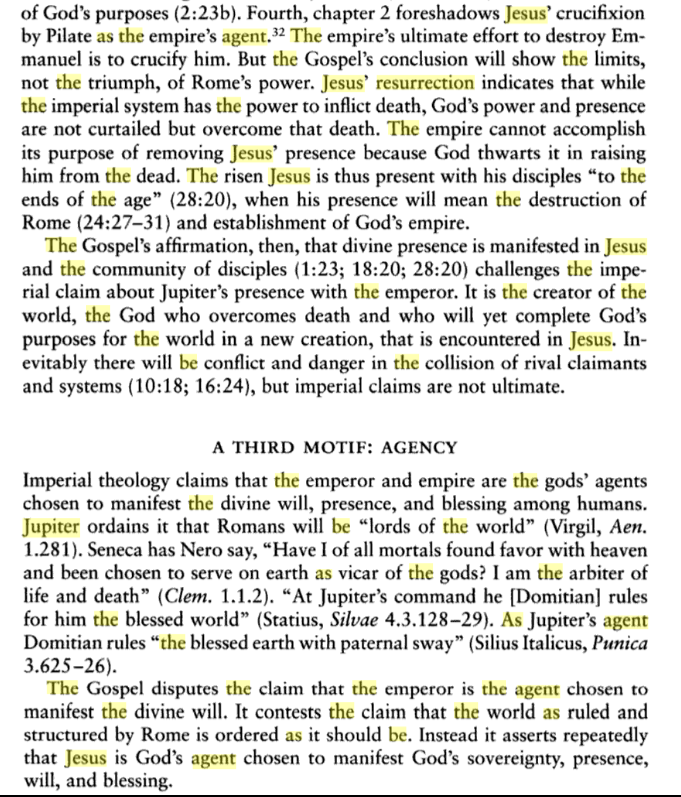 Jesus was not even a type of Jupiter at the time of Rome’s rule and Jews recognised this. 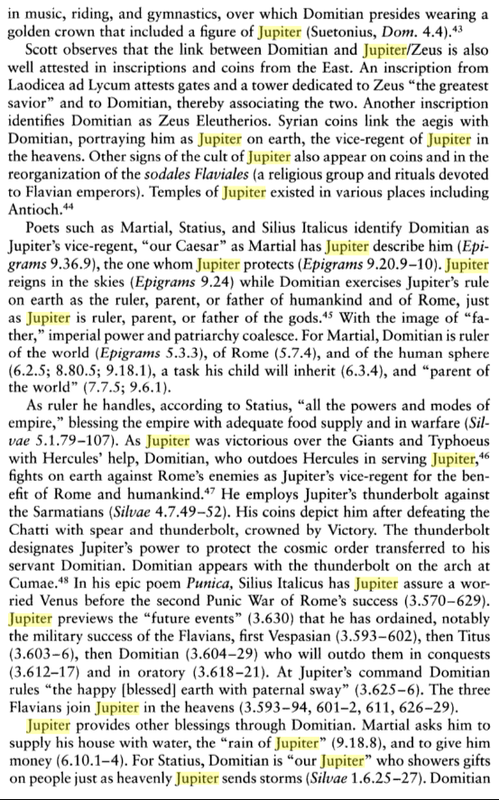 And if any group thought of themselves as a “baby Jupiter”, it was definitely the Roman people. 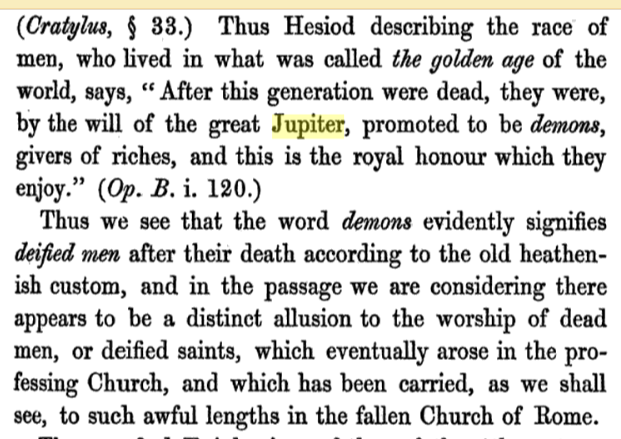 So as you can see, Jupiter was the main god that Rome worshipped. But it wasn’t just Rome. You can find Jupiter worship on the “Temple Mount” in Jerusalem and At Baalbek in Lebanon. These are just a few places because Jupiter worship was prevelant in a lot of different societies. 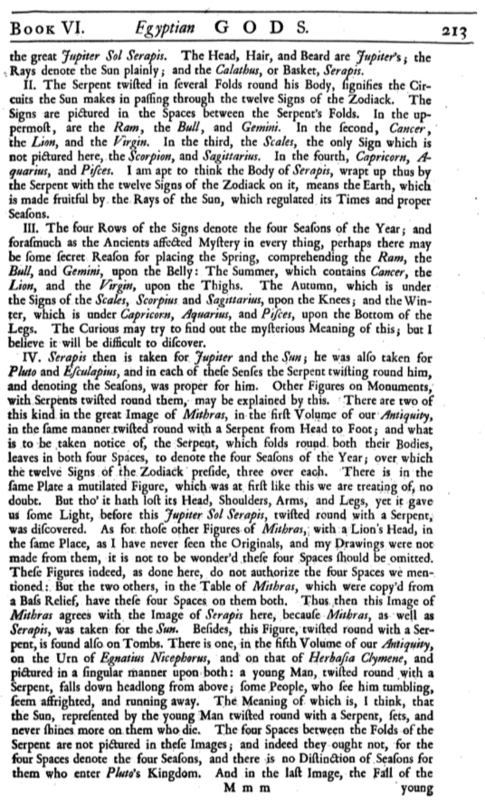 Rome had made there own form of Jupiter worship from taking Egypt’s Osiris and the Apis bull which was Serapis. They called this Jupiter Serapis. Like I said, it was a mixture of Osiris, the Apis and the Zeus. JupEssentially this just represents the lord of the air, Baal. Let me also make mention of this that happens around the 21-23 of September. 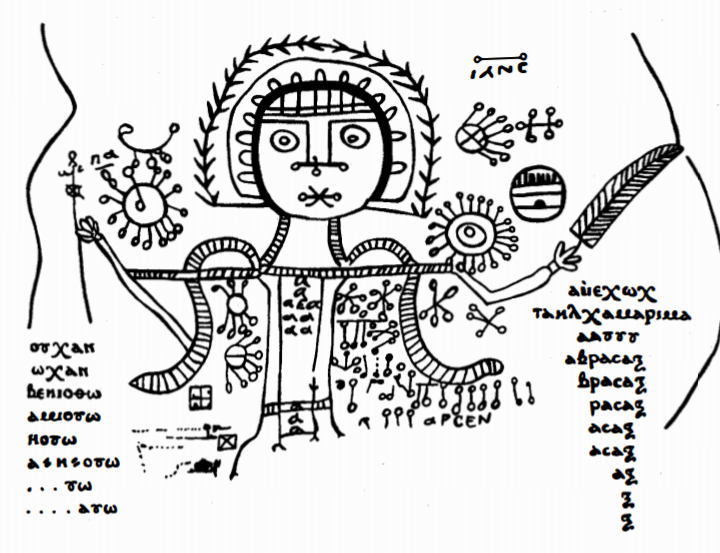 “The Aëtius parapegma is an almanac that appears as a chapter in the 6th-century Tetrabiblos of Aëtius of Amida. 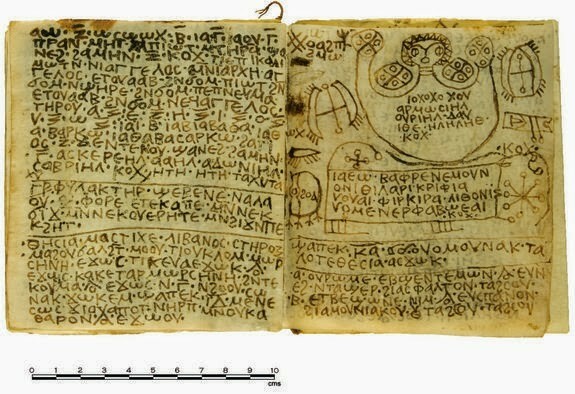 It treats the rising and setting of constellations, weather forecasting, and medical advice as closely intertwined, and notes of the equinox (placed on September 25) that “There is the greatest disturbance in the air for three days previous. Thus it is necessary to be careful neither to phlebotomize, nor purge, nor otherwise to change the body violently from the 15th of September through the 24th.” The passage is presented as advice for physicians, based on the principle that “the bodies of healthy people, and especially those of sick people, change with the condition of the air”.” (http://www.wikiwand.com/en/September_(Roman_month) You can’t change anything about yourself while Baal the lord of the air is prevelant. 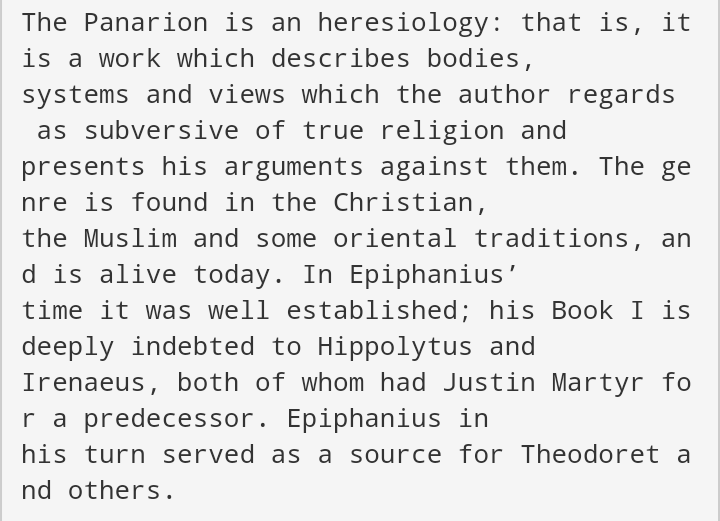 So historically you can see that it may have come from the Persians who may have gotten it from the Assyrians. Then the Romans developed and perfected their crucifixion from the Greeks and Carthaginians. Now why do I bring the crucifixion up? Because it is completely obvious that Rome in the time of Jesus worshipped Jupiter. That is an absolute fact. So it made me stop to think about the nails that were used for crucifixions. 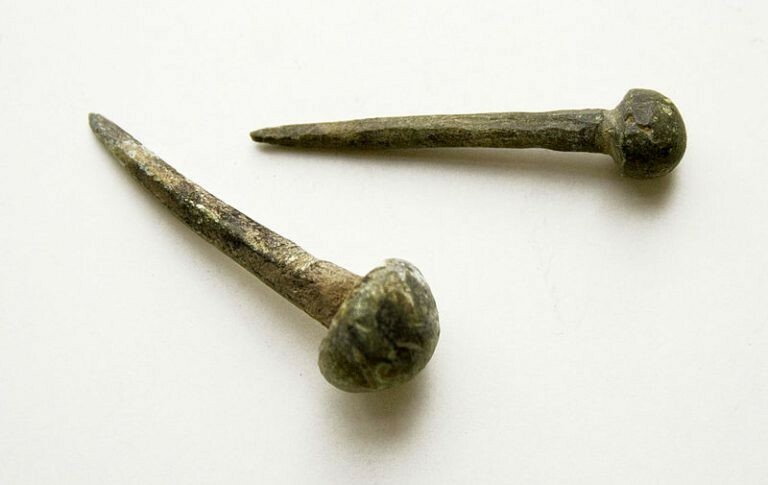 Were these same nails that were used for crucifixions also dedicated to their god Jupiter? I think that’s an honest question. 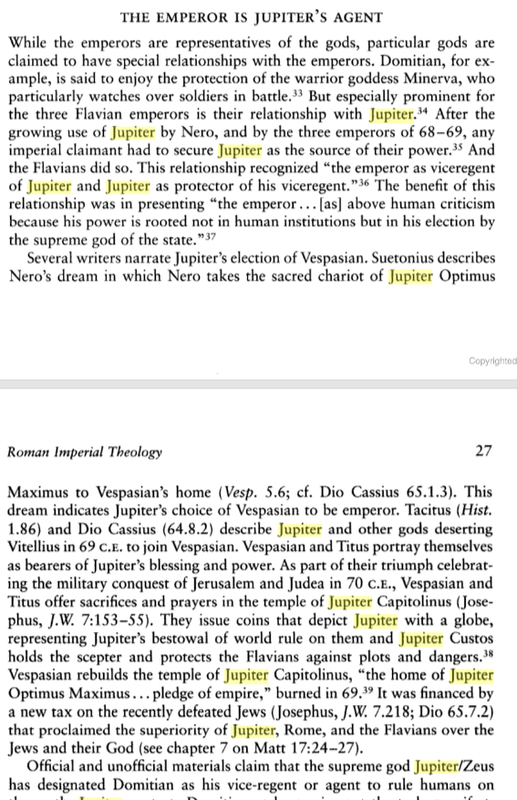 I mean come on, everything Rome did was dedicated to Jupiter. They wouldn’t and didn’t do anything without first dedicating it to Jupiter. It’s no different than us as Christians praying In Jesus Name or a Muslim cutting meat and having “allah” bless it. The Romans were no different. So once again, were crucifixions sacrifices to their god Jupiter? Was Jesus hung on the cross as a sacrifice to Jupiter (Baal). But they had no clue what was going to happen 3 days later now did they? That’s the great part of this story. So we can see there may be more to this nail driving ceremony that what some historians have told us. Now do you remember back to the time right before the Exodus about a something called the Passover? Of course you do. Do you remember how this very first Passover was a typeology of the crucifixion of Jesus, the lamb slain from the foundation of the world? The Hebrews had to put blood from a lamb on the sides of the door and over the door so that when the angel of death passed over, he would see this blood from a lamb placed there, then he would continue to pass over the house and not kill the firstborn male? This was obviously a type of the crucifixion of Jesus. We all recognize this as a type of Jesus’ crucifixion to fulfill Passover. 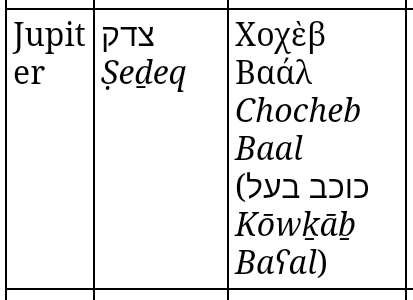 So you can see that this entity that is invoked is the lord (baal) of the serpents from the abyss and air. This can only mean that it represents Satan in the form of Ba’al and in most scholarly circles, this represents the one and only Jupiter. Now this word ‘deacons’ is interesting. This above article says this. “The decans were a series of 36 stars or constellations located close to the ecliptic whose risings, or later, transits, served to keep track of hours, ten-day periods, and ultimately years; the decans were positioned so that a new one rose or trans-ited at intervals marking the hours. During the period in which they served to tell the hours of the night they were said to be ‘working’, thus earning them their designation, ‘those who work’. Twelve such hours would typically pass eachnight, and over a period of ten days each decan would rise and transit one hour earlier. The whole cycle would take a year to complete, beginning once more with the heliacal rising of the decan Sothis (Sirius), signalling the inundation. The connection between this lord Baktiotha and these deacons is interesting. 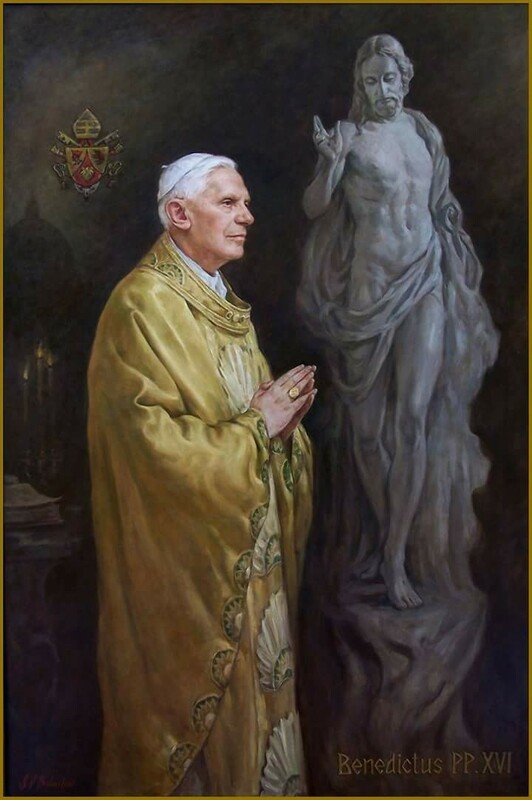 This is the reason as to why you have statues and idols of these false gods. They are representing these “deacons”. Ironically if you notice that They mention these amulets that have lion headed serpents on them. And the writer doesn’t mence his words when these deacons are on the form of winding serpents. The lion is used for its kingly aspect and mockery of the Lion of the Tribe of Judah. 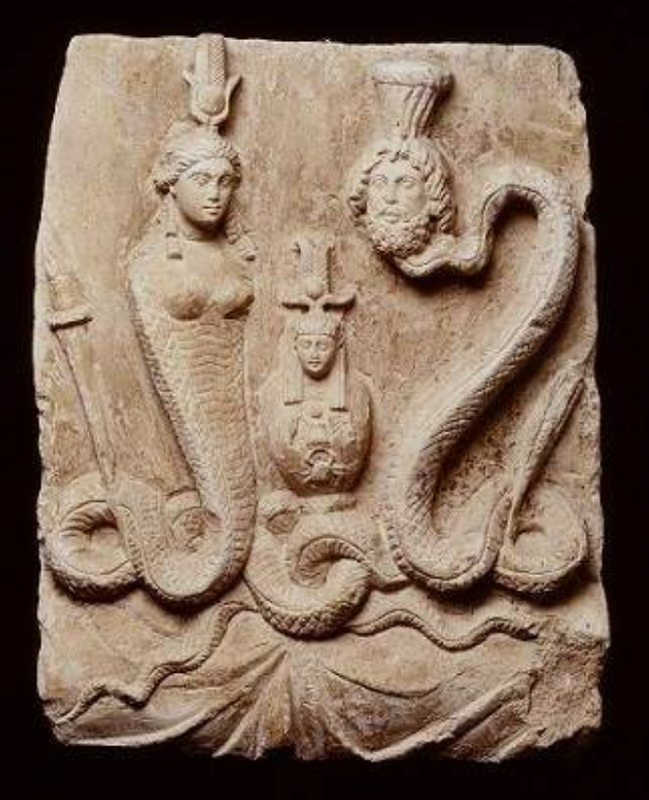 And the serpent represents Satan in the garden which in their minds represents the healing aspect. “You will be as gods”. Remember who said that? He was getting them to believe They needed to be healed of the state they were originally in only to figure out that they were heading to a fallen state. Now back to the lion headed snake. Look at the idol below. 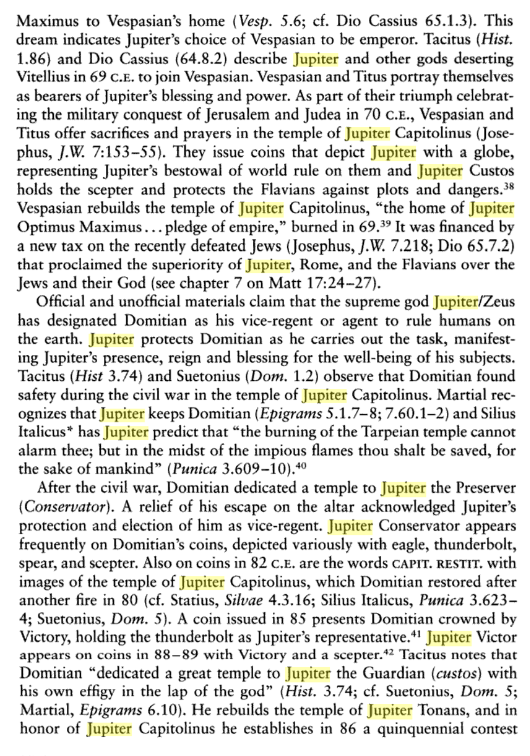 Is Jupiter Serapis. His hair and beard looks like a Lions mane with the tail of a snake. So was Baktiotha associated with Jupiter? We know the term deacon is used in Scripture. Now when looking at these “heavenly deacons” in light of what is going on now it gets a little strange. 1st Timothy 3:8-13 mentions these deacons in the Church. Here are verse 8-9 specifically. “Likewise must the deacons be grave, not doubletongued, not given to much wine, not greedy of filthy lucre; Holding the mystery of the faith in a pure conscience.” Now Strong’s defines a deacon as “one who executes the commands of another, especially of a master, a servant, attendant, minister; specifically a Christian teacher and pastor (technically a deacon or deaconess)”. So a deacon in the Church in the Church needs to not be “doubletongued, not given to much wine, not greedy of filthy lucre”. Ask yourself, does this sound like a lot of christian teachers that are promoting this false pre-trib doctrine along with the false sign of Rev 12? These people are more concerned with making money from books and YouTube videos. And not only that, when what they “prophesied” doesn’t come to pass then they double speak and say something else will happen at another time. We may be witnessing these false deacons or goats according to this false Rev 12 sign on 9/23. It seems like we have come full circle with these Jupiter nails. 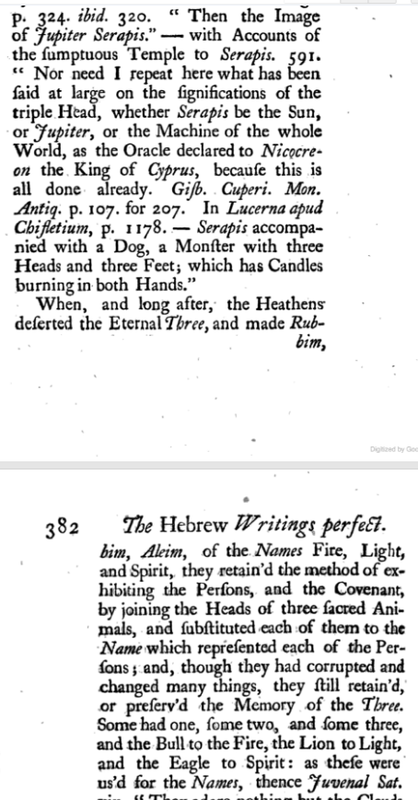 Instead of blood of THE Lamb (Jesus) fulfilling the Passover and redeeming Creation from a sinful fallen state, we have the nails of Jupiter going back into the sides of a doorway being used in incantations. 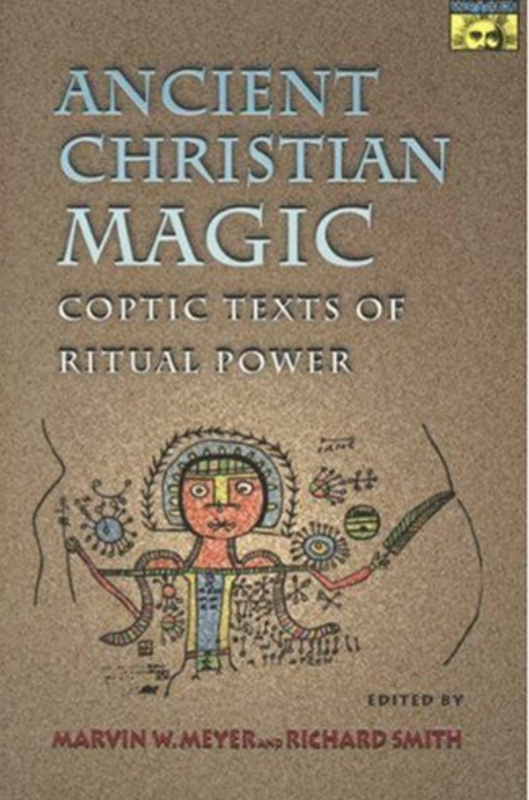 “You have to say a magical formula over two nails, and then “drive them into his doorpost, one on the right side (and) one on the left.” These Luciferians hate what Jesus has given us and Jesus has defeated death and there demonic rituals. 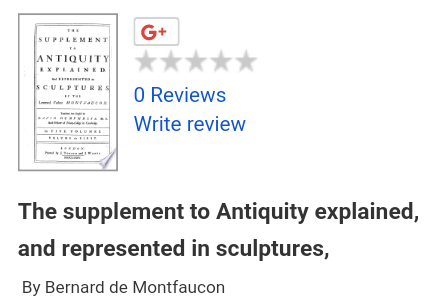 Do you notice Jupiter on the cover of this book? Irma: Breaking Her Water in Jupiter?